For a couple of reasons, there are many cool season crops that are more dependable in the fall than in the spring: 1. Fall weather is more reliably cool; 2. Some varieties, like winter radishes, need the shortening days of fall to create a crop; and 3. Many cool season varieties like parsnips and broccoli are sweeter when they have been kissed by frost. Mark your average first fall frost date on a calendar. (October 15 is the average first frost date for our mid Missouri area). Look on your seed packet for “Days to Maturity” or use the Botanical Interests Outdoor Sowing Guide for Late Summer/Fall at this link: https://www.botanicalinterests.com/img/site_specific/uploads/LateSummFallSowingGuide.pdf. Soils may be hot, and quick to dry in summer, so you may consider starting some fall crops indoors or creating some shade over the garden bed. Some cool season crops like lettuce and spinach will not germinate in soils over 80°F or 85°F respectively, so you may want to start them inside if the soil is still too warm. However, root crops should always be direct-sown. From your average first fall frost date, count backwards the number of days to maturity, which will bring you to your ideal sowing date. Move your sowing date up 1 to 2 weeks to accommodate cool growing temperatures and shorter days that may slow growth, unless you plan to use season extension techniques like row covers. Most cool season varieties have a sweeter flavor after a frost, as cool weather increases the sugar content in these varieties in order the help them survive cool temperatures. Mark your calendar with variety sowing dates, and use it year after year. Now that you created a handy, reusable schedule, all that is left is the fun part – sowing! While outdoor sowing is ideal, it is not always practical (as mentioned above). You can start some varieties indoors this fall – broccoli, cauliflower, kale, leeks, and fennel, to name a few. The varieties that take more time to mature to harvest are types that art good to start indoors where you can better regulate the moisture and temperature such as Romanesco broccoli and fennel. 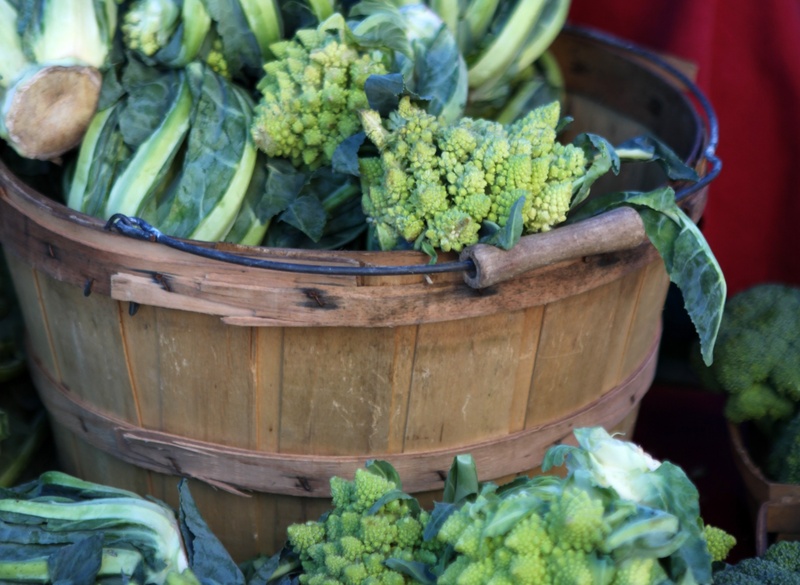 Romanesco has an awe-inspiring, natural fractal pattern, and when cooked, it has a nutty flavor that seems like a cross between asparagus and cauliflower. Fennel elevates many flavors in a dish. Once these seeds sprout, it works well to right away start the hardening-off process or put them in the ground, under a row cover for 1 to 2 weeks. Our Botanical Interest seed selections are available in the Garden Center year-round. Come by and pick up your favorite varieties, plus varieties that you have not yet grown. You may discover new favorites for your garden and table!